Picnics have a special place in Americans' hearts and minds. Bob Evans is bringing that special picnic feeling to everyone this Summer: no park necessary. Known for its iconic comfort food, Bob Evans is rolling out a new Summer picnic menu chock-full of summer’s brightest flavors. Just in time for Summer, Bob Evans commissioned a national survey to delve deeper into Americans' love of picnics. According to the new Bob Evans survey, picnics are beloved because of the people involved rather than where they take place. The survey of 2,503 Americans found that picnics are about more than just food; 86% of respondents loved to picnic because it provided an opportunity to spend quality time with family and friends. In addition, it turns out that, while being outside was considered an important part of picnicking, more than 58% of respondents had staged an indoor picnic in the last year, showing that anywhere can be a perfect place for a picnic if you have good food and great company. That’s why Bob Evans is bringing picnics and that wonderful feeling of connectedness to locations near everyone! The family-style restaurant is opening up hundreds of thousands of picnic blanket locations across the US thanks to the new Summer picnic menu and promotion. Now, there is a Bob Evans location wherever guests can lay a blanket or spread a table cloth. You take care of the company; Bob Evans will handle the food. The Summer Picnic menu is available both in restaurant and as a Picnic to go but only for a limited time. Starting this May, guests can enjoy new, fresh picnic menu items that elicit fond warm-weather memories, including delicious Herb Roasted Chicken, specialty sides, and scrumptious Lemonade Bread, along with other family favorites only available for the Summer, like Strawberry Supreme Pie and Chicken Salad Sliders. “Picnics have a special place in American's hearts and minds. 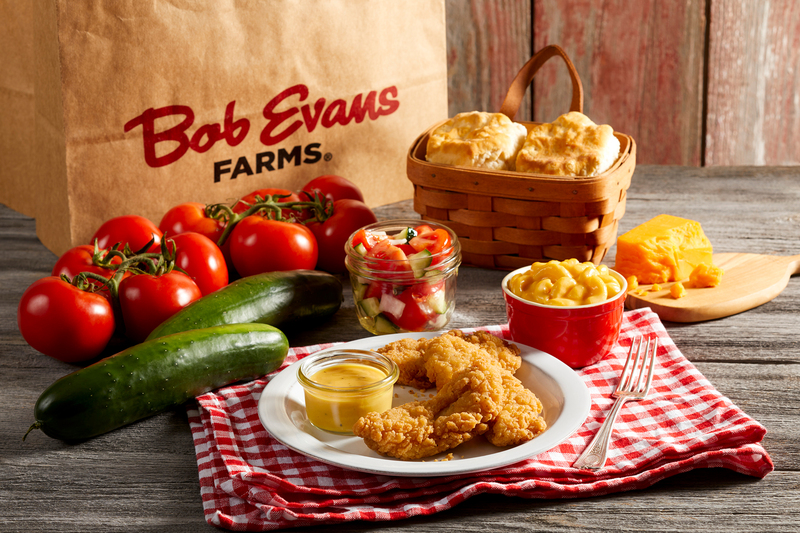 Wherever our guests choose to enjoy Bob Evans food, our new picnic menu creates a memorable experience that helps families and friends connect while enjoying delicious Summer food,” said Sara Bittorf, SVP, Chief Marketing Officer of Bob Evans. In addition, Bob Evans is launching “The Pop-Up Picnic Tour” in cities around Ohio - Bob Evans home state - to help everyone enjoy the magic of Summer picnics with good food, friends and family. Gingham is not required but definitely recommended. For more information, including tips for a perfect picnic or to order your Picnic Family Meal to go visit http://www.BobEvans.com/picnic. For more information about Bob Evans Restaurants, visit http://www.bobevans.com. The 2017 Bob Evans Restaurants survey was conducted from May 25 - 26, 2017, using the Research Now online opt-in consumer panel. At the time of the survey, the 2,503 participants had to reside in the 50 states or District of Columbia and be at least 18 years of age or older. Age data was weighted to more accurately reflect the U.S. adult population based on U.S. Census data.